Upgrading my older TMCC to odyssey is this possible? Very easy, any TMCC locomotive with a DC (can) motor can be upgraded to cruise using the ERR Cruise Commander M. It's a very easy install, one wire of soldering. You'll also get 100 speed steps for much better low speed performance. As a bonus, for diesels, you can wire up the operating ditch lights that will flash with the horn just like the real prototype. Generic Modular TMCC locos ? Diesel odyssey, I have one of these but it doesn't jump or leach that I noticed. Steamer Kit all versions ..... ? sorry could you explain a little more. then the Odyssey would be the early Odyssey with jump and leaching. Not Odyssey engines have the lurch. If yours doesn't then I would leave it alone. I think the generic kit has been phased out. 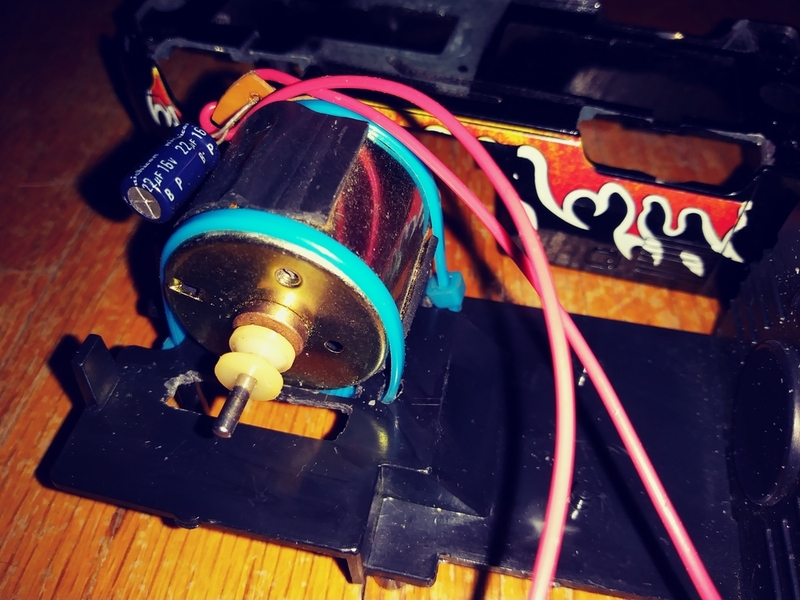 The steam kit has the capability to work with wireless tethers as well as older wired tethered engines. The main difference in the diesel kit is it has a connector to convert the 6 pin power/motor connector to the Cruise Ms 4 pin connector. Before ordering make sure all of your engines have modular boards. Most made after 1999 do. You can go to electricrr.com and download the manuals for these before you buy to see what is involved. There is now a single kit for Diesel & Steam, the conversion for the 6-pin connector was just for the Odyssey specific version. I don't know if there is a 6-pin connector in any of them now, the instructions have not been updated for some time. At one time they had you cutting and splicing the wires for the Odyssey installation, I used the connector tool and moved the pins to a 4-pin shell instead. A call or email to Ken at ken@electricrr.com will confirm what you need. The ERR diesel kit contains the 4 pin connector/pigtail to adapt an Odyssey engine to ERR. Not the other way around. You and I may have 4 pin connectors to swap the pins to but I doubt most others including the OP has them on the shelf. Not any more Pete. The kit is now labeled Diesel & Steam and contains no connector for the Molex plug. Perhaps they still package a special one for Odyssey, which is why I suggested calling or emailing Ken. I just received two of the new kits. Thank you all so much for your assistance. I ordered the Steam kit last night and will see what it comes with, I will convert all of my older steam engines if this works out. No reason it shouldn't work out, I've done a ton of these upgrades. Well thats a bummer. Sounds like the Lionel bean counters are now calling the shots. I have been making my own for so long I haven't had the need to order a specific Diesel kit in quite a few years. I have the extraction tool for the Molex connector, so when I do an Odyssey to CC-M upgrade, I just pull the contacts and move them to a 4-pin connector. It's a much neater installation, splices where there need not be any bug me. As do I along with a tool for about every conceivable pin size but I don't see how this helps an amateur. The Cruise M manual still describes replacing the 6 pin connector with a 4 pin one. 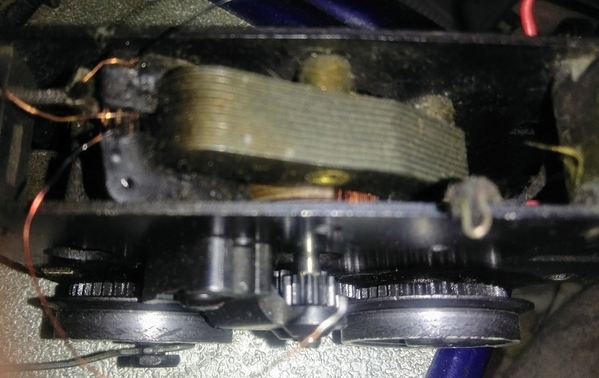 Someone with an Odyssey engine shouldn't have to turn around and buy some molex connectors to complete the installation. You're talking to the wrong person Pete, I don't make the decisions at ERR. You need to go to service parts web then resource link and manuals. Type in product number. ERR doesn't list the Molex Micro Fit connector on their price sheets, so the neophyte would never know it was available. You really missed the whole point of my comment George, most people don't know to ask. 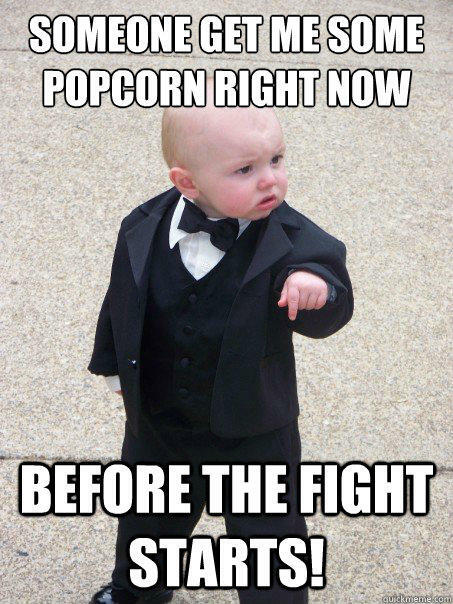 Lol - Wow, when the gun fight starts at noon call me! What happens when they don't know about OGR? I also have the N&W #6-28052 Articulated 2-6-6-4 1218, TMCC equipped, manufactured in 2000. My engine has the high-torque Pittman motor and Railsounds 4.0. I have heard the "can motor" term several times, but don't know what that means. Any help? Also, would I be a candidate for the ERR system upgrade, or would that not apply to my engine? You can certainly install a cruise system on your loco. 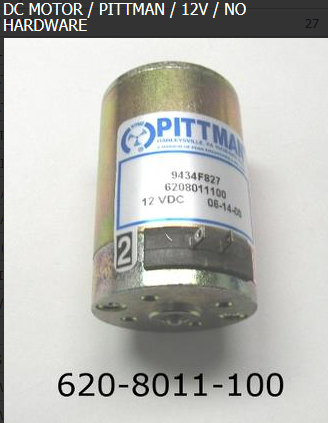 Your Pitman motor can be considered a can motor (as opposed to a postwar type pullmore motor). A can motor has a permanant magnet field, as opposed to a field winding/coil. Whether you need a Cruise Commander or a Cruise Commander M depends on the type of TMCC system your loco has. Most likely it needs a Cruise Commander M. Look to see of it has several boards plugged into a mother board, or contact Robert at Sunset Third Rail. Electric Railroad products are now sourced and sold by Sunset Third Rail. ERR Access the Shop Now section of this site. Bottom of product list, is where the Accessories are listed including wiring. Also, would I be a candidate for the ERR system upgrade, or would that not apply to my engine. You need the ERR Cruise Commander M, a perfect match for this locomotive. It will give you much better performance. Of course, if you want chuffing smoke, you might also consider the Super-Chuffer II. to manage the smoke unit. I've done a couple of these locomotives with this upgrade. DC can motor. On an engine, it wouldbe larger and likely has a flywheel. This is the Pittman motor in your locomotive. Thanks everyone! Glad to hear of the possibilities. GRJ... what would be the cost of the ERR "M" and Super chuffer upgrades you mentioned?